Welcome to Affordable Roofing and Solar! They are proud of their integrated approach to solar and roofing systems. Complete financial packages available for roofing and solar. As a trusted expert in roofing and solar, they specialize in gutters, insulation, skylights, energy saving and green roofing products. Their warranties are the best. 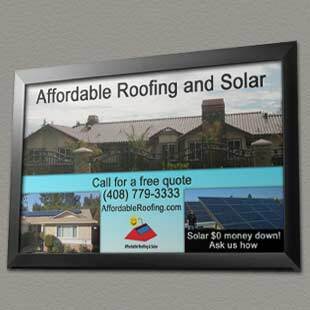 Affordable Roofing and Solar offers top quality products and services. It’s your one-stop-shop!